Do You Need To Switch To Winter Tyres? Home Auto Parts Do You Need To Switch To Winter Tyres? As days get colder, we start wearing winter ensembles such as long coat, boots, hand gloves and woollen hats. Like you, your vehicle too needs to be ready for colder days. And one of the several things you need to do in order to prepare your car for winter days is replacing its summer tyres or all-season tyres with winter special tyres. We certainly need to take extra caution while driving on wet or snowy roads during winter months. Driving your car with regular tyres or with worn out tyres can put you and passer-by, if any, in serious danger. Fitting winter tyres makes your journey safe while driving on icy wintery roads. 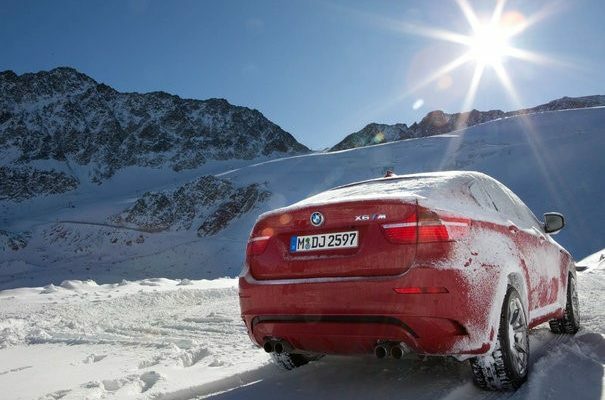 What Characteristics Make Them Winter Special Tyres? Well, these tyres are specifically designed keeping winter weather conditions and its impact on road conditions in mind. They ensure that additional traction and short braking distance on wet or icy roads. These tyres are manufactured using special rubber compound, which contains high volume of silica content. It is this silica compound that enables your winter tyres to maintain their flexibility although temperature continues to drop. Winter tyres ensure excellent performance in any temperature below 7 degrees Celsius. On the other hand, even best quality of summer tyres harden speedily and loose grip on wet roads. Winter tyres have deeper channels and specialized tread pattern that help them effectively scatter water and sludge on road surface. No matter what brand you choose, all winter tyres available out there feature an array of tiny cuts, called slits, as a part of their tread design; this adds to the grip quotient of your tyre while driving through tarmac and snow crystals. Like European countries, UK doesn’t have a rule that all motorists must switch to winter tyres in colder months. But if you don’t want to compromise on your mobility as well as safety during winter months, it is indeed a best idea to invest in winter tyres. When winter is over, you can store these tyres well and use them year after year in winter months. Usually, winter tyres last for 3-5 years. Now that you have learnt what makes winter tyres different than your all-season or summer tyres, and why you need to switch to winter tyres in colder months, let’s get a quick idea of how you can shop them online. The first thing to do is learn the exact specifications (size, make and model) of your vehicle tyres. You can check your user manual for the same or visit a reliable car service and repair station in your area. You can request quotes from different retailers and grab the best deal. Don’t forget to check if they have additional fitting charges or any other hidden charges. Find out how the seller will handle the tyre fitting process. However, if you are not very comfortable with the idea of online shopping, you can visit a local car service station and let a tyre specialist address your needs. While choosing your auto parts retailer, pick the one offering a huge collection of brands, sizes and prices. Do your bit of homework to ensure the retailer you choose for tyre replacement has good market credibility and customer satisfaction record. Michelin, Bridgestone, Goodyear, Hankook, Continental and Pirelli are some of the most renowned brands of quality winter tyres.